Painter and printmaker and respected art teacher and lecturer, Donald Plenderleith, born in Peebles Peebleshire. Studied at Ealing School of Art 1937-9 and returned after the war 1945-6, his teachers include Thomas Lightfoot; then Hornsey School of Art 1946-7, with John Gerald Platt. Plenderleith went on to hold a number of senior teaching posts in the London area, including St Nicholas Grammar School, Northwood where he was the much loved and respected art teacher. 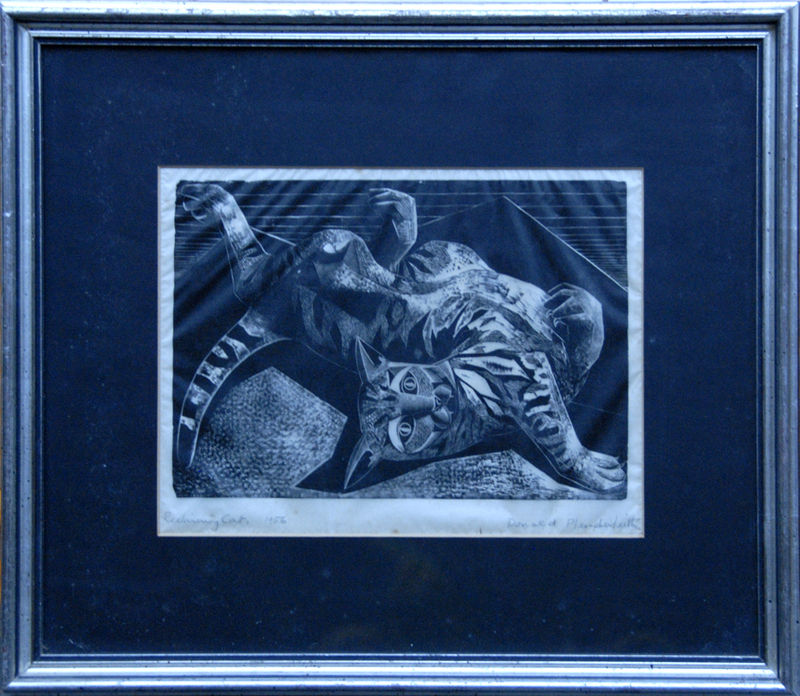 Exhibited at the Royal Academy, Royal Society of Painters – Etchers and Engravers Painter – Printmakers. Lived at Hatch End Middlesex and then retired and died in Devon where he painted landscapes. What is seldom mentioned is that Donald Plenderlieth was a decorated fighter bomber pilot during WWII.